In America's west, national public lands (NPL) are home to over 76% of human-powered outdoor recreation, including hiking, mountain biking, backcountry skiing, paddling, and rock climbing. National public lands include national parks, national forests, national monuments and other federally owned public access lands. National public lands provide outstanding access to some of the most outstanding outdoor recreation experiences in America. They are the foundation of a thriving economic sector and a growing population of outdoor enthusiasts. 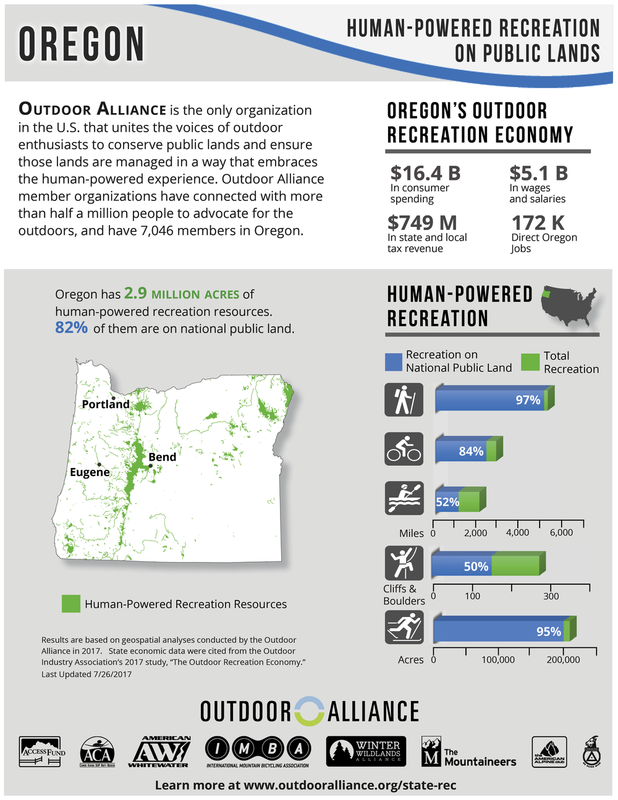 Recreation area is the footprint of America's recreation opportunities. It is represented by a quarter-mile safeguard around hiking, mountain biking and skiing trails, paddling runs, and rock climbing areas.